Nigeria’s foreign missions are a distressing reflection of the crippling dysfunction at home, a fact Senator Shehu Sani has helped to push to the forefront of public awareness during a recent Senate hearing. Every Nigerian who lives outside Nigeria can relate to this reality. Our foreign missions are denuded of basic conveniences and are worse than the jailhouses of their host countries. Workers are owed backlogs of salaries and allowances and are, for the most part, unmotivated to work. Even when they are not owed salaries and allowances, several of them have internalized the Nigerian public service work ethic that has ensured that we’re stuck in perpetual infancy as a country: mindless slothfulness and awful customer service. Last week Friday, I accompanied my wife to the Nigerian Consulate here in Atlanta to get an Emergency Travel Certificate for her brother, which was necessitated by the inability of the consulate to produce his passport a month after he applied for it. It took us seven hours to get the certificate, which anyone can effortlessly produce on their home computer. And at several times during our wait, machines malfunctioned and the consulate ran out of ink to print documents. Of course, the workers were blithely unconcerned at best and outright discourteous at worst when we asked questions. It took the intervention of a good-natured acquaintance of my wife’s to get the emergency travel certificate—that is, after waiting seven mind-numbing hours. What I’ve described about the Nigerian Consulate in Atlanta is true of most Nigerian foreign missions elsewhere. That’s why Nigerians outside Nigeria dread the prospect of renewing their passports—or having any dealings of any kind with our foreign missions. It’s pure physical and emotional torture, especially for some of us who have become habituated to excellent service delivery and courtesy to customers. Foreign Affairs Minister, Geoffrey Onyeama, talked about the extreme distress of our foreign missions during his defense of his ministry’s budget before the Senate Joint Committee on Foreign Affairs and Diaspora on December 19. He said both the Ministry of Foreign Affairs and its foreign missions “are still heavily indebted,” among other troubling things he said. So, basically, the minister of foreign affairs commended the very people and institutions that are responsible for the poor state of affairs of the ministry he heads. I get that it’s bad politics to be openly critical of the people you need help from, but do you have to commend them and lull them into complacency and a false sense of self-satisfaction? “From 2015 that I got to this place, we talked and talked. 2016, we talked. Now again, we are talking. They are releasing money to you people as if you’re beggars. Every day people call me on the phone from different parts of the world and we are here on the same ritual again. “The presidency of Nigeria is not serious about our foreign missions. People are afraid to say it. You’ll say there is a problem: this one is bad, that one is bad, and then you’ll end it with commendations. Who are you commending? “This problem is man-made. We are deliberately refusing to release money even for simple things that don’t require money. To even put foreign ambassadors of Nigeria on a schedule to see the president takes four to six months, sitting down in Abuja doing nothing. “Niger Republic, Benin Republic, Malawi, Burundi, Rwanda, Seychelles, Cape Verde can all take care of their embassies. What type of giants are we?” he said, according to the Premium Times of December 19. This forceful, fearless forthrightness made my day in ways I can’t possibly express. If more people in positions of power can be this bold and frank, maybe things might change. 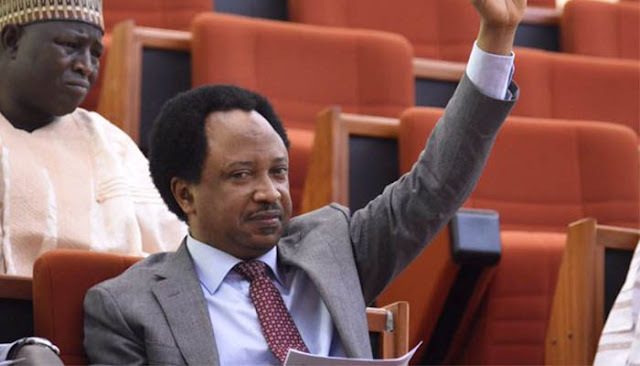 If more people in decision-making capacities are as invulnerable to fear, intimidation, or blackmail as Senator Sani has demonstrated, maybe we would be able to confront our problems and find solutions to them. 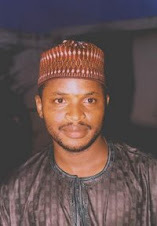 Unfortunately, brave voices like Senator Sani’s are drowned out by a cacophony of fawning obsequiousness.